Google is now not holding back in exposing the sites that have not started implementing the secure protocols of data transfer HTTPS and is slapping such sites on its new edition of chrome. This protocol keeps malicious eyes form digitally prying over your shoulders while you browse. 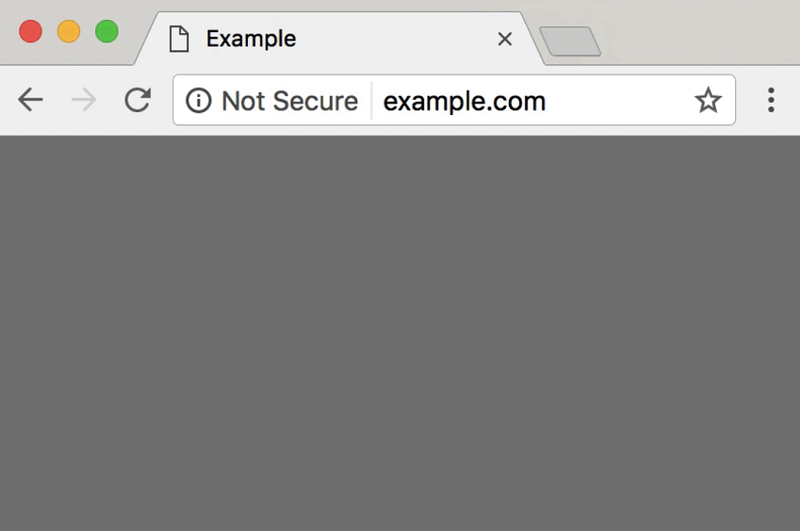 According to a report by BBC, the “Not Secure” phase will not show on the URL bar just yet when the sites visited have failed to follow on implementing the HTTPS protocol. This isn’t the first for chrome to not let the security of its users be in jeopardy because of insecure sites as it a has previously stated that it will attach a “Not Secure” phase to alert its users from the sites that collect passwords or secret information. This time, the version 68 will display this notice along with each site with anything other than HTTPS as well. This will highlight the lack of this feature on the site and make it more noticeable. HTTPS encrypts the data between you and the site that you visit. Without it, your browsing details are prone to an uninvited interception due to the lack of encryption during the data transfer. A web portal WhyNoHTTPS lists the world's most visited websites that are not using the hypertext transfer protocol. Some of the most popular sites with no HTTPS implemented to them include Foxnews.com, Speedtest.net, Alibaba.com, Baidu.com and BBC America. Even though visited by the millions, they yet have to follow the proper protocol to be more secure.